Artificial grass landscaping is easy. Unlike live grass, you never need to mow or water it. It also stays in great shape all year long, even during harsh weather. Of course, that doesn’t mean you can’t incorporate real plants into your artificial grass landscaping plans. Do you want a dream lawn that impresses guests and neighbors? If so, keep the following artificial grass landscaping tips in mind. We at Watersavers Turf will also be happy to offer any extra help you need to design a lawn you can make you proud. A synthetic turf lawn always looks green and vibrant. That’s why you should enhance it with plants that also retain their beauty throughout the year. 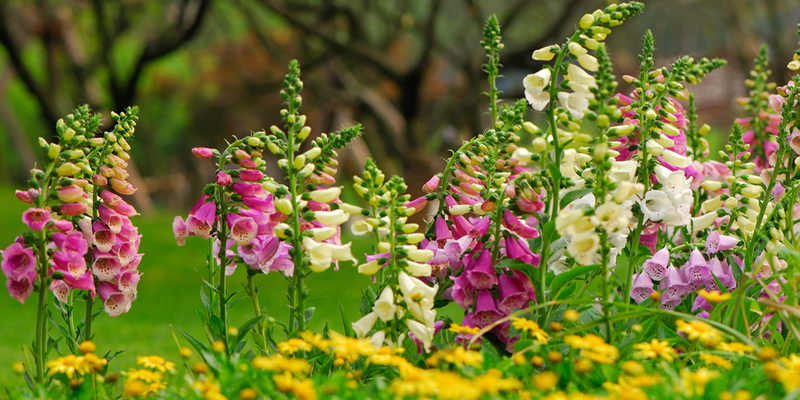 By adding perennial flowers to your synthetic turf lawn, you’ll highlight its beauty in all seasons. Sage is an ideal plant to form the border of a path, garden, or other discrete section of your lawn. It’s a smart choice because of its durability. Sage can sustain a lot of wear and tear from harsh weather. This makes it a perfect choice for a fake grass lawn. Leave some space along a fence or other border to plant lavender. You may also want to use it to outline a gazebo or other structure on your lawn. Lavender’s cool color makes space look larger than it is when used along with a boundary. Its scent also induces a feeling of calm. Sedum is another plant that makes a walkway or structure stand out when planted along its border. It’s also a smart choice for people who want to save water. You already use less water throughout the year with a fake grass lawn. Because sedum stores this resource well, planting it won’t result in a large increase in water usage. Artificial turf makes a great surface for a garden. These fake lawn garden ideas will show you why. They may also inspire you to come up with fake lawn garden ideas of your own. Unlike grass, fake turf won’t compete with any other plants around it for nutrients. That means you don’t have to worry as much about your garden losing its luster over the course of a season. Artificial turf is perfect for a meditation garden surface. You can add water features to make the space feel more natural and relaxing. You might even surround it with taller plants to boost your sense of privacy. Again, this surface won’t rob other plants of nutrients. That’s why it’s ideal for a garden path. Its bright color will guide people through the garden without distracting from brighter focal points. Fake turf is useful because it lets you turn unexpected areas into gardens. For instance, you can install it on a deck or patio area. City-dwellers who don’t have lawns also use it on their balconies. You can add your favorite potted plants and install outdoor furniture to complete the space. Fake grass isn’t the only artificial material that’s perfect for your garden ideas. Artificial ivy panels can also provide a green backdrop for your plants when installed on your siding, fence, or any other space that would serve as the backdrop for a garden. Not everyone has enough yard space to create the garden of their dreams. With fake turf, that’s not a problem. You can easily install it inside of the home. Add a few potted plants near the windows, and you get a relaxing space in the comfort of your house. Want more help designing the perfect lawn? Head to one of Watersavers Turf’s SF Bay Area locations. We’ll offer the products you need. We also carry free large 1’ x 1’ turf samples. Not sure which style of turf is best for your project? These samples make it easier to sort through your options. We’ll ship them to any spot in the Continental United States if you can’t make it to us. Feel free to give us a call at 844-974-8873 if you have any more questions. We’ll also gladly chat with you online. Want to know what your project will cost? Be sure to ask about our free estimates!